In the midst of a medical revolution, 23 States have embraced marijuana as a form of effective medication. The numbers speak for themselves.According to several polls, over 55%of the people in the United States are now in favor of legalizing medical marijuana.There has been an average of 33% reduction in the opioid overdose related deaths in the past five years. This, as well as the effective management of several diseases and conditions, such as epilepsy and sickle cell anemia, can be attributed to the legalization of medical marijuana. However, there is one particular concern with the growth of this plant. While legislatures have opened their minds to the possibilities of cannabis being used as a medication, there is still little control over the quality growth and production of marijuana. Contaminations can reduce the effectiveness of the plant. In some cases, it can even be hazardous. One such contaminant is mycotoxins. 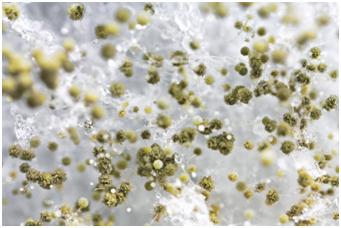 Mold or fungus – such asAspergillus ssp., Penicillium ssp., and Fusarium ssp. –areliving organismsthat are commonly formed and involved with the decomposition of all kinds of organic matter. The factors that cause this mole can be numerous, one of which is the lack of optimal temperature. While this mold is being formed, it is also responsible for producing chemicals, by-products, and metabolites –including mycotoxins. Even as growers take measures to remove or eliminate the presence of the mold – whicharevisible–it does not, in any way, guarantee that the cannabis plant is free of mycotoxins. There are five broad groups of mycotoxins – namely aflatoxin, vomitoxin, ochratoxin A, fumonisin, and zearalenone. These mycotoxins are known to be high in toxicity, dangerous for humans, animals and plants. Along with the concerns related to acute toxicity (which leads to immediate illness), continuous exposure can be even more hazardous. The exposure to a specific mycotoxin leads to an allergic reaction that, over time, can become potentially lethal for some patients with a poor immune systems. With consistent build-up, a patient may remainallergic, with the impact of illness only increasing in intensity with each new exposure. The long term exposure can also result in increasing risks of cancer, suppression of the immune system, and other health problems.This is why, having a mycotoxin test conducted on your marijuana samples is crucial. Mildrew, being one of the most common types of mold is the least harmful, with nothing more serious than just an unpleasant taste. However, in the case that a patient is suffering from lung-related conditions or allergies, this could be serious. 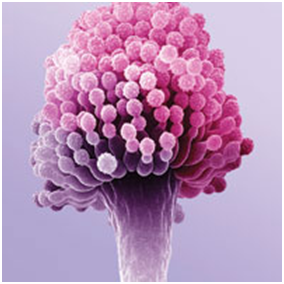 The mold, Aspergillus that also releases mycotoxins,is the most toxic. They can be black, green, brown, white, yellow or blue. One specific mycotoxin that it releases is called Ochratoxin. This substance is carcinogenic. Carcinogen is any substance that is an agent directly involved in causing cancer. And the first thing it does is destroys the kidneys, andcauses extreme neuropathic pain throughout the body. Another derivative of Aspergillus is the mycotoxin,Aflatoxin, which is one of the most well-known and lethal carcinogenic chemicalsthat came into the spotlight in the early 1960s with the death of over 100,000 turkeys in an English poultry farm. The disease was associated with high levels of aflatoxins in a Brazilian peanut meal that was imported into the country as a feed ingredient. Surprisingly so, Aflatoxins are also found in the breast milk of mammals that have consumed contaminated feed, peanut butter, and certain cooking oils. In the United States, a lot has been done to regulate mycotoxins (i.e., aflatoxin, fumonisins, and vomitoxin) in all kinds of consumer foods. These rules are established by the Federal Food, Drug and Cosmetic Act (FFDCA), and enforced by the Food and Drug Administration (FDA). However, because cannabis continues to be listed as a Schedule 1 substance, there are no regulations surrounding mycotoxin testing. Yet, it isn’t to say that there are no ways to run a test to check the toxicity of the plant. Mycotoxins can be identified and quantified using Modern Canna Sciences state of the art mycotoxin testing equipment– HPLC(high performance liquid chromatography) or LC/MS (liquid chromatography-mass spectrometry). Modern Canna stands to ensure that cannabis products are free of hazardous materials like mycotoxins when cannabis legalization occurs in the state of Florida. For more information, visit www.moderncanna.com.